Oregon Adds A New Gender Option To Its Driver's Licenses: X : The Two-Way The change follows a ruling last year by an Oregon judge that allowed an Army veteran to legally identify as non-binary — neither male nor female. Several countries already recognize a third gender. 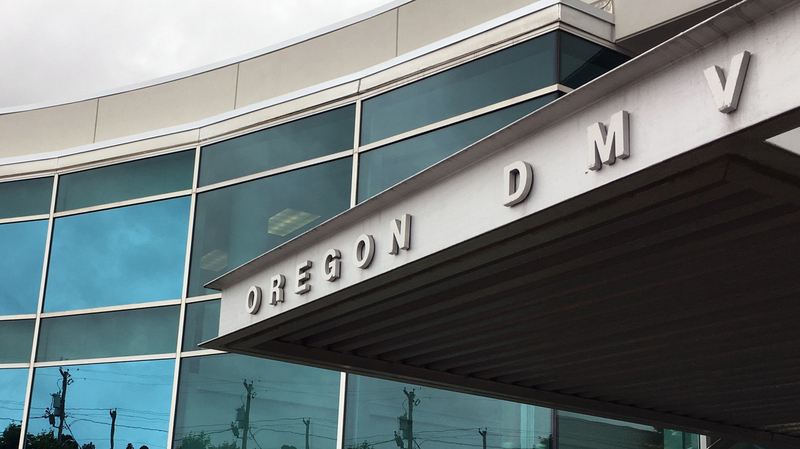 The headquarters of Oregon's Driver and Motor Vehicles Division on Thursday in Salem, Ore. Oregon became the first state to allow residents to mark their gender as "not specified" on applications for driver's licenses. A decision by Oregon's Transportation Commission makes it the first state to allow residents to identify as "non-binary" — a third gender option beyond male or female. Starting in July, Oregonians can select M, F, or X as their gender on licenses and identification cards, The Oregonian reports. Applicants who want a new ID will pay fees for replacement or renewal. J. Gibbons, who identifies as non-binary, plans to apply for a new Oregon identity card from the DMV. "There are daily interactions such as checking out at a grocery store, checking in at a doctor's appointment — and an incorrect gender marker means the potential to be misgendered and have painful and very uncomfortable experiences at all of those stages," J. Gibbons, a 26-year-old college counselor told Oregon Public Broadcasting. "I'm incredibly thrilled to be an Oregonian right now," said Gibbons, who identifies as non-binary. 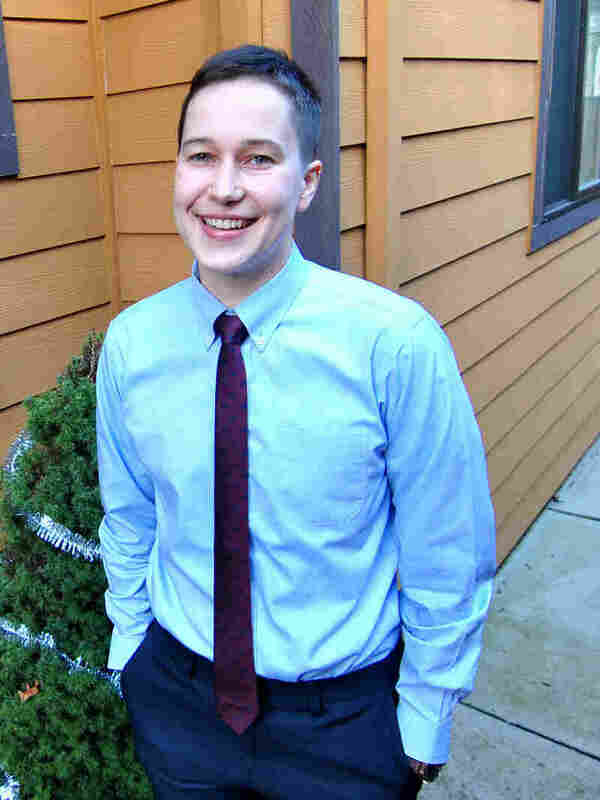 The change follows a ruling last year by an Oregon judge that allowed Jamie Shupe, an Army veteran, to legally identify as non-binary. The decision was believed to be the first of its kind in the United States. "I very much plan to head to the nearest DMV and ask for that ID to be corrected on July 3rd," Shupe told Reuters. "And then I'll no doubt stand out front of the building, or sit in the car, and cry." In considering the new rule for state IDs, the DMV listened to and read comments from people for and against the change. Only 12 opposed the change, the Oregonian reported. "People didn't share their testimony," Tom McClellan, the division administrator for the department, told the newspaper. "They shared their stories. They told us of their struggles so we would understand the need." "DMV Administrator Tom McClellan choked up as he read letters of support to the commission, including from someone who encountered an embarrassing situation while going through a body scanner at an airport, and the security officer didn't know whether to push the blue button for a male passenger or a pink one for a female one," The Associated Press reports. 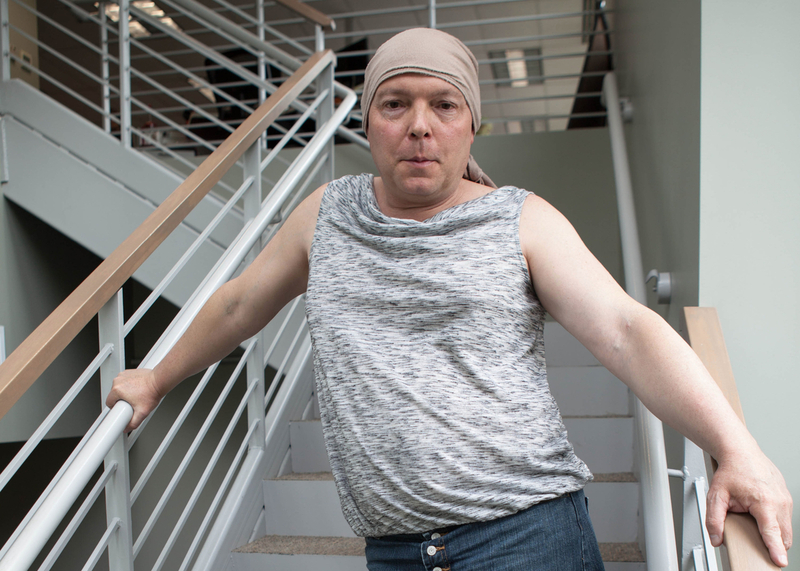 As OPB's Kristian Foden-Vencil reported last year, several other countries recognize a third gender, including India, Pakistan, Australia and Germany. Earlier this year, the Canadian province of Ontario implemented the option of an X gender on licenses. "There's a little more truth and justice in the world today," Hayley Gorenberg, deputy legal director of Lambda Legal, told the AP. She said that when people's appearance doesn't appear to match gender markers on ID cards, they "endure insults and psychological trauma that could largely be averted if they had an option to use a gender marker that does not contradict who they are." California's state Senate passed a bill last month to add a third gender options on state IDs. But the California Family Council opposes the bill, arguing that "government documents need to reflect biological facts for identification," the AP reported. Commissioner Sean O'Hollaren told the Oregonian that he was happy about the change. "I hope those who will use X as an identifier will feel an element of comfort moving forward," he said. "It's something we're not only doing because legally our hand is forced. It's something we should do because it's the right thing to do."